Dansko Professional Multi Twine Nursing Shoe - Multi Twine - 41. Dansko Shoes are the ultimate in comfort and all-day support! The eye-catching Multi Twine nursing shoes from Dansko feature an eye-catching colorful striped pattern that will add a spark to your outfit! 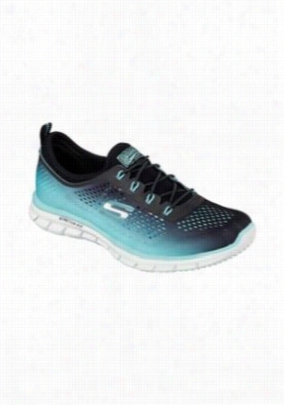 Features such as a padded instep collar and roomy reinforced toe box make sure that your feet will be pampered and surrounded in comfort all shift long. Leather upper PU outsole Leather socklining 2' heel height Style number 606-620202 Receive FREE Standard Ground SHIPPING on your order with the purchase of any 'regular price' Alegria, Dansko, Sanita, or Greys Anatomy shoe! Dansko Professional Navy Medallion Nursing Shoe - Navy Medallion - 40. Millions of Dansko fans can't be wrong! 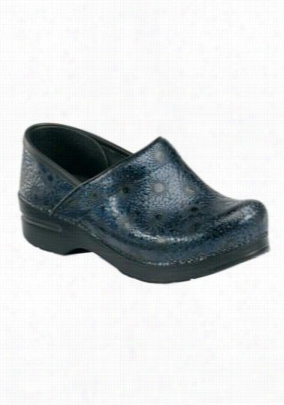 These comfy professional nursing clogs from Dansko have all of the support and quality that you've come to expect but in the new Navy Medallion color! Patent leather upper Polyurethane outsole Flexible rocker bottom Anti-skid tread Roomy toe box Padded instep Leather Sock lining Dansko style number 406-550202 Receive FREE Standard Ground SHIPPING on your order with the purchase of any 'regular price' Alegria, Dansko, Sanita, or Greys Anatomy shoe! Dansko Professional Lightning Patent Nursing Shoe - Lightning Patent - 38. Dansko Shoes are the ultimate in comfort and all-day support! The Lightning professional patent nursing shoes have a unique colorful pattern that will add a fun dynamic to your outfit! 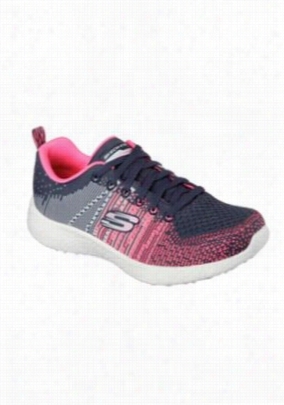 These great looking shoes give you all day comfort with such features as a padded instep and roomy reinforced toe box. Leather upper PU outsole Leather sockling 2' heel height Style number 606-570202 Receive FREE Standard Ground SHIPPING on your order with the purchase of any 'regular price' Alegria, Dansko, Sanita, or Greys Anatomy shoe! Dansko Hillary leather sneaker nursing shoe. - Black - 37. Experience the quality of Dansko shoes in sneaker form! The sporty and stylish Hillary leather Sneakers from Dansko have a removable memory foam foot bed, built-in arch support, and shock absorbing midsole! Dansko style number Black Leather 4500-020200, Pewter Metallic Leather 4500-970200, Navy Leather 4500-750300 Stain Resistant Antimicrobial Removable memory foam footbed Receive FREE Standard Ground SHIPPING on your order with the purchase of any 'regular price' Alegria, Dansko, Sanita or Greys Anatomy shoe! 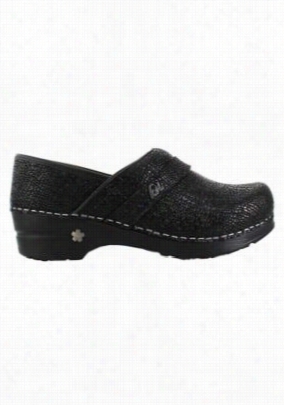 Dansko Professional Woven nursing shoe. - Black Woven - 36. 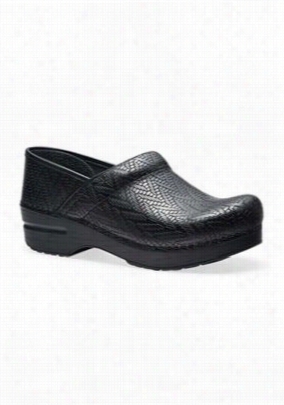 Experience all-day comfort with these sturdy nursing Shoes from Dansko! These Dansko Professional Clogs are highlighted by a beautiful pattern, padded foot bed, excellent arch support, and a roomy toe box! 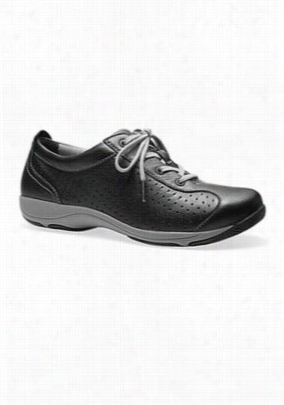 Slip-resistant Padded instep collar Full leather upper Dansko style 806-100202 Receive FREE Standard Ground SHIPPING on your order with the purchase of any 'regular price' Alegria, Dansko, Sanita, or Greys Anatomy shoe! Top carry handle. Mesh design adds style to shoe bag and helps air out Shoes after playing a long outing. Sleek black 600D fabric with white piping. Zipper front and pocket closures. Front compartment for additional storage. Say "Bon voyage!" to average and say "Hello!" to the Voyager Shoe Bag. The mesh sides of the zippered main compartment are designed to let shoes dry while you're on the go. 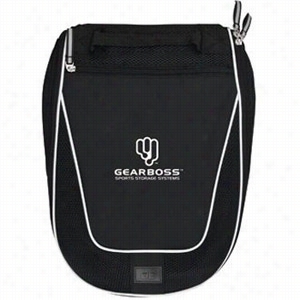 Store socks, shoe polish, or any other accessories in the zippered front pocket for easy access. Use the convenient top carry handle for one-handed transportation. The black 600D fabric with white accents go with any style and are a perfect match to the rest of the Voyager series.